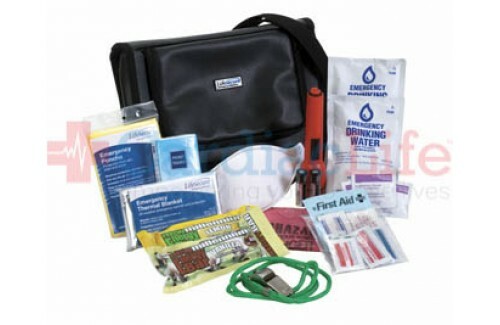 This Personal 1-Day Evacuation Kit provides one full day of support for 1 person in case of an emergency. 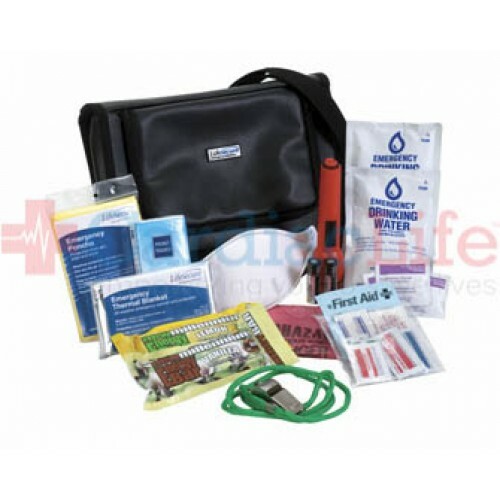 It includes the basics necessities to keep you secure and comfortable until help is available: water and food (both with 5-year life), breathing protection, first aid, warmth/shelter, communication, light, and sanitation. Room for emergency cash and small personal items such as prescription drugs, extra set of glasses or contacts, etc.